REAL ID is the program through the Department of Homeland Security (DHS) designed to ensure the identities of anyone boarding a commercial flight or going into Federal government buildings and other secure Federal facilities such as military installations. Starting October 1, 2020, if you do not have REAL ID, you will need to show either a valid US Passport or Military ID to do any of the above. 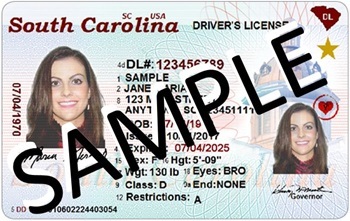 According to the Department of Motor Vehicles, only about 25% of South Carolina residents with a driver’s license or state-issued ID have applied or opted out as of mid-January 2019. Those that have opted out will have to use a valid US Passport or Military ID. You may be eligible to apply for REAL ID online. To see if you are eligible, click here. If you are not eligible, this website also gives the list of the acceptable documentation that you will need to take with you as well as the addresses of local DMV offices. There is plenty of time to get ahead of the procrastinators and get your REAL ID. If your driver’s license has an expiration date after the October 1, 2020, deadline, they will issue you a new license with the REAL ID designation. The designation is a gold star in the upper right-hand corner of your driver’s license. SCDMV has published a list of Frequently Asked Questions. To access it, click here.